Combined with the Alberta precedent, Trinidad’s election matters as another data piece suggesting that incumbents in states with energy-dependent economies are in trouble — a foreboding thought for Canada’s prime minister Stephen Harper and for ruling classes in Turkey, Azerbaijan and Venezuela who face elections later in 2015. With 1.35 million residents, the country (perched just off the coast of Venezuela) is the fifth-most populous in the Caribbean — after Cuba, Haiti, the Dominican Republic and Jamaica. Aside from the sputtering economy, the campaign focused on crime, corruption and social issues. As in nearby Guyana, which also features a population divided by Guyanese of African descent and Indian descent, politics splits on ethnic lines in Trinidad and Tobago, too. Africans typically support the PNM and Indians usually back the outgoing UNC of Persad-Bissessar and her predecessor, the party’s founder, Basdeo Panday. In Guyana, too, an African-Guyanese coalition took power after elections earlier this year in May. 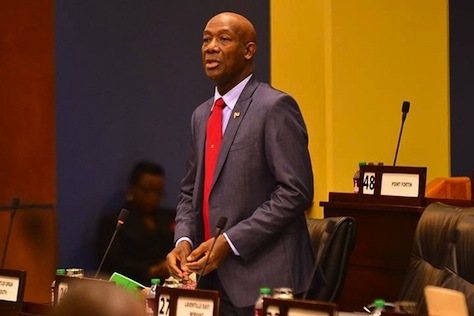 The PNM will hold 23 seats in the 41-member House of Representatives (39 of which are elected in Trinidad, with just two elected from the sleepier Tobago), while the UNC and its allies will hold just 19. One gadfly who will not return to the parliament is Jack Warner, whose newfound Independent Liberal Party won no seats. Warner is currently being sought for extradition by the United States in connection with his role in the corruption scandal involving FIFA, the global soccer governing federation. Warner, a longtime member of FIFA’s executive committee and a former FIFIA vice president, was deselected by the UNC in the aftermath of the FIFA misconduct scandal. But he previously served as minister of national security in Persad-Bissessar’s first three years in office, and his international fall was a bruising moment for the UNC government.